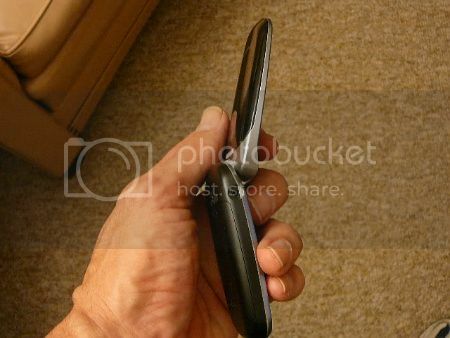 The New Straight Talk LG 200c Phone is a very Basic Clam shell folding phone. The Straight Talk LG 200c is one of the most basic flip phones made. It has a few simple functions like a calculator, alarm clock but it really is just a phone. You can easily text and talk. I do use the clock all the time as my watch. The calculator works well also. I have been using this same LG 200c model of phone from Net10 for the last two years. I have dropped it hundreds of times, and it still keeps working. It is easy to use, fits well in my pocket and it never messes up. The ringer stays at the level I set it. I really like the fact that there are no buttons on the outside of the phone. It never accidentally makes calls in my pocket. It does not have a camera or anything else. 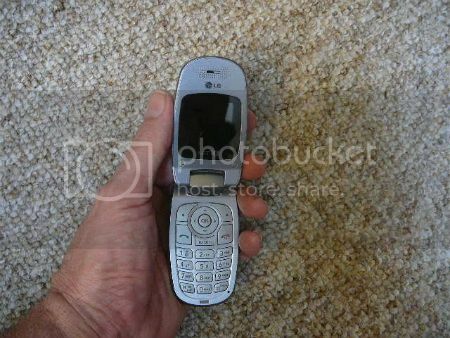 I also have a Verizon phone that has external buttons to turn on the camera and to adjust the ringer. I will be sitting down and if I move just wrong it starts taking pictures. This is the phone for you. From Straight Talk you will pay $30 for the LG 200c and then if you get the unlimited card that will be an extra $45 or if you get the 1000 minute card it will be an extra $30. This is a great little phone to text with. It is light and well balanced to hold in one hand and text with. It is faster to text with one hand after a little practice than to use the qwerty keyboards. There have been several races held and the fastest texters are actually using morse code but the second fastest are using the 10 key pad to text. If you learn to use the I-touch or T-9 system you will be able to text pretty fast. The first few text messages I sent out took like two minutes for ten words. It gets faster quickly with practice. Buy the Straight Talk Lg 200c wireless phone. if you are wanting a simple light durable prepaid phone. The Straight Talk payment plan is better than any of the contract or prepaid plans. I have a review of the Samsung R451c which is a very nice Qwerty keyboard phone for texting. I have used one a bit and the full size thumb keyboard has a good feel to it. Check out my review of the Straight Talk Samsung R451c Slider. I have friends with the Droid and the Iphone and Blackberries. They are always running out of battery. Most of them have bought a charger for their car so if they run out of charge they can plug in. Many of these phones will barely make it a day on a charge. They always seem to be losing them, getting them stolen or breaking them. Most of them are paying $70 to $150 a month on their phones. The Lg 200c has the best battery life of any phone I have had. I easily get a week out of a charge. This will change if you use your phone a lot. I use 150 to 250 minutes a month. The more you use your phone the faster they drain the battery. If you just want a cell phone to talk and text the LG 200c is a very good choice. Side view of the Clam shell Straight Talk LG 200c Prepaid Phone. If you want to check your email or search the internet on your phone the Straight Talk LG 200c is not for you. This is a basic phone. Talk and Text, that is pretty much it. "Straight Talk" is a new company that is a joint project between Tracfone, Verizon and Walmart. All calls made with Straight Talk phones will use the Verizon Network, the largest cell tower network in the US. All You Need Straight Talk Plan for $30 a month. This is really unusual. Most of the cell phone companies want to charge you 95 cents or $1.25 or $2.00 to call to check a number. Both Straight talk plans include unlimted 411 calling. I have written a lot about Prepaid and Contract cell phone plans in the US. These two plans are the best value. No limitations if you use more than 200 minutes a month then one of these plans will be the best for you. Straight Talk Unlimited Talk Text and data for $45 per month. This is the best rate for a National Coverage Unlimited Plan. Get Straight Talk Wireless for 1,000 minutes and 1,000 texts per month for only $30 a month. All You Need plan for $30 a month. Get your LG 200c at Straight Talk.com .